(한국당 착각)미중협상 오래전 정해져,미북.미중 27~28일이었던 이유? 당대표 후보들은 얼른 와서 선거에 참여해주세요. 나라가 망합니다. 과거 한국의 1998년 IMF 외환위기보다 10배 이상 타격을 받습니다. 미국에 수출하는 중국상품에 추가 관세가 15%이상 뛰기 때문에 중국은 큰일납니다. 나라가 휘청거려 쓰러질 것. 원래 3월 1일이었으나 시진핑이 다시 연장을 했습니다. 난리법석이 났습니다. 한국당 당대표선거 때문이 아닙니다. 북한과는 27일, 중국은 그 뒤 28일로 정했습니다. 미중 무역협상 원래 3월1일이 데드라인(마지막 날)이기 때문에 2월 28일로 정한 것. 베트남에서 2월 28일로 되었었다. 그러다 중국 시진핑이 요청하여 연장된 것. 아래는 필요한 분만 보면되고, 일반인들은 볼 필요 없습니다. A failure by U.S. and Chinese negotiators to reach an agreement by the March 1 deadline set by U.S. President Donald Trump could raise the stakes in the global trade war. Trump’s threat to more than double American tariffs on Chinese goods after that date would escalate a bruising battle that’s shaken the world economy and caused companies to reconfigure their supply chains. 1. What’s so important about March 1? That’s the end of a 90-day trade-war truce that Trump and China’s Xi Jinping agreed to on the sidelines of a Group of 20 summit in Argentina in December. Under that truce, the U.S. agreed to delay a planned increase, to 25 percent from 10 percent, in tariffs on almost half the goods the U.S. buys from China, worth some $200 billion. American and Chinese officials have been negotiating since then. 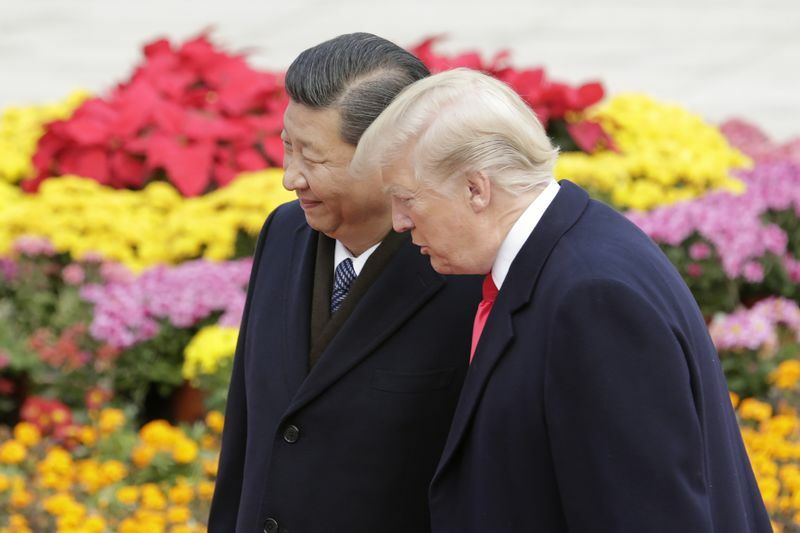 But with Trump saying he and Xi won’t meet again before March 1, fears are intensifying that there won’t be a deal -- though Trump has also suggested he could agree to extend negotiations if progress is being made.